PataNoir is a neat new interactive fiction game from Simon Christiansen. Although as expected you read text and then type commands on your phone or tablet, there's a twist: if the game makes a metaphor or simile, you can treat it as true. Shadows like pools of oil? There is oil for you to take. Your revolver is like a trusty assistant—no, really, his name is Mr. Smith Wesson. 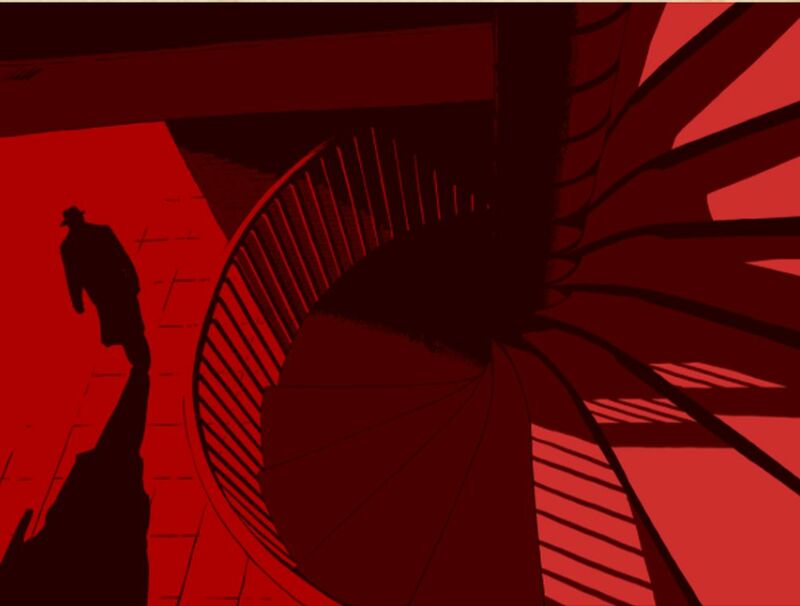 Christiansen says the game is a tribute to the hard-boiled metaphors of noir fiction, and in the game you play a detective manipulating language to solve the mystery of a Baron's missing daughter. It's great fun for anyone who loves wordplay, but the clear rule structure also makes it appealing for people who find the traditional opacity of other parser-based text games to be a little ruthless. The mobile app version of PataNoir is $2.99 on iOS, Google Play or Kindle Fire; it adds new illustrations and music. 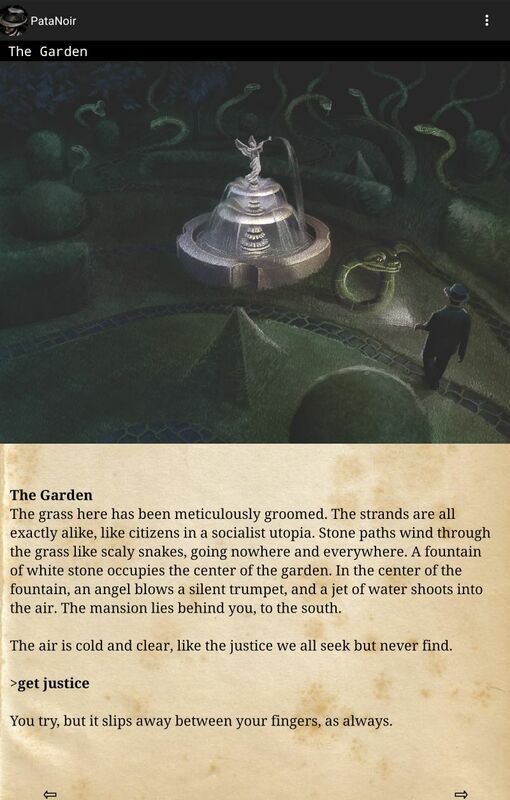 The original text-only version was a 2011 Interactive Fiction Competition entry and can be played on a computer for free if you have the appropriate text game interpreter. Links to all versions can be found here.